Blogs can be multi-functional and no matter the reason for starting the blog, you can always find ways to make your blog more resourceful for you. Of all the aspirations that beginning bloggers have, the clichÃ© and yet contrarily, most valued of these aspirations is to secure a book deal based on your blog. It has been known to happen and it is natural to presume that there might be some essential tips for the process to be successful. It is not necessary that this process works exactly in a similar way for you, try to take the tips to optimize your own process and get the deal. Although I share here what we have tried and found to work on our discount coupon blog that features autotrader and photos.com coupons. When you start your blog, you concentrate on defining your niche. This is much the same for book deals; the publishers will want your book to have valuable information for your target audience. This information can be a solution to some long-standing problem or it might define a completely new area of your niche. This is where your blog comes in to your rescue. Niche blogs generally, reflect your expertise and ease with the topic. The information that you post regularly must have a solid impact on your readers, only then will you be able to convince your publisher that the information is worth publishing. When you target a niche topic for your blog, your main criteria should be to demonstrate your expertise on the topic via your posts. However, straight information can get tedious and gradually become the reason for your dwindling reader zone. Developing your posts to objectify your niche in a different light is necessary to highlight your blog amongst the major number of blogs that are your competition in the game. Your book deal will not materialize based on general information; you need to develop a unique style. You need to focus on the niche to skim out the sub niche and the exclusive zone that attracts your readers. Remember the book cannot always be about you but it has to be about your readers. The readers will pick your book because they would want to know about their problems and the relevant solutions. Therefore, the follow up and development of the blog posts should also have the strain of that something that only you can give to your niche readers. Book deals do not materialize without a trace promise of audience. In fact, most book pitches include the outline of a marketing strategy and book promotion. However, when the deal is based on a blog, you already have a well-coordinated niche promotion media for your publisher. This is the part where your hard efforts towards building up your subscribers lists pay off. However, your blog cannot be the only media that you focus on for this promotion. Books and the Internet will always have that duality challenge where traditional faces off the new trend. You have to target traditional media for your book promotion and it will help if you have a strategy roughly outlined for your book deal pitching. The new trend will broadly target the new generation but you cannot target such a slim audience group for a book. The whole process of a book deal is based on your projectâ€™s uniqueness. After all, you deem this project valuable enough to pitch for it. However, your blog needs to display this unique value clearly, if you are looking to land a deal based on your blog. Posts that follow a general style have a lesser chance of coming through as removed from the norm. Idealization of extraordinary concepts is as much necessary as the content of your posts. If you work with a topic that is stretched wide, you need to narrow down to the part where you shine as the most purposeful. This stretch of the subject is the base of your book and your book deal sorely depends on finding this stretch fast. The good news is your blog gives you total involvement with your niche on a regular basis. As such, you might come to the relevant conclusions regarding your unique value with proper assessment of your early and current most popular blog posts. The challenge is not the starting up of the blog. You have free of cost options like WordPress.com or Blogger that can work just as great as the ones with a small expense on them (Buying custom domains). Remember to seek out publishers and pitch your book deal along with a rough outline of your promotion techniques. Jane also writes for Coupon Triumph, a discount coupon site that features auto trader and photos.com discount deals. Here are a couple of discount coupons for you: autotrader promo code, code promo for photos.com. Subscribe to the Derek Semmler dot com feed via RSS or Email to receive notifications when new posts are published. Follow the WordPress ninja on Twitter too! Yep, blogs should be anchored to “what the audience wants”. This is the first rule. Knowing what they want will help you determine the benefits you need to communicate in order to convince them to buy what you offer. I disagree a blog should be about what you want it to be and then you will find your audience. If i had a blog about me and i am writing about what i think you want me to be its just going to come off fake. I should write about me and people who find me interesting will continue to follow my adventures. Selling stuffs in your blog can definitely help you earn more income. So it’s actually being advice. If it’s your own product then the income will be much considerable. Building trust first about you and your products, then give good guarantees, such as 30 days return policy with money back. Blogs are one of the fastest ways to set up a new website and get traffic quickly. If you manage to secure a book deal, your blog is also a great way to keep up-to-date on the information within the book and have your readers participate in discussions and debates. Nicole, that is a really great point. Often times resources in a book are out of date almost as soon as a book is printed, but this offers a great way to remain engaged with your readers and continue to provide a valuable (and relevant) resource. Building trust is one of the key if you want to succeed. It’s easy to sell your product if you gained their trust. And i think personal blog is one of the fastest way to promote your product. It can help you increase your sale and earn more income. To earn income from a blog first of all select a strong niche and select some keywords having more than 10 million monthly searches. Optimize your blog under some keywords.Site will be enlisted in organic searches. Your product matching keywords will give you revenue but patience is required in this regards. Wow – I have not commented on Derek Semmler dot com for over 3 years… yeah I love blogging and often think about turning the content on a few of the sites into a book. But blogging lends itself to short essays and a book is really a long treatment on a subject. So yeah some sites could easily be converted to a good book. Mine I’m afraid are all good content blogs but not really ones that could be aggregated for a book. That is true that many blog posts are similar to individual short essays. However, chances are that you have a number of blog posts all related to a similar theme / niche. Rather than looking at taking your blog posts exactly as-is and creating a book from that, use the blog posts as the starting point and tie them together with additional content. That is what I did with my Kindle book, taking the core of a handful of posts and then connecting the dots with new, fresh content. Blogging is really a great money making thing. You can pretty much do anything, sell stuffs, make some books using great articles from your site and I guess that why a lot of people has started blogging.. It’s a great hobby while money..
Blog and blogging is one of the best stuff to do. We can do it for our hobby also and at the same time we can earn from it. As nowadays its becomes one of the effective and stable source of earning online. But its require lot of knowledge concern to various factors like – what type of blog we create, what is our target, our area of expertise, our product, niche audience, where to find, how to promote our blog etc. and once we have all sufficient knowledge related to all this factors than we can able to join in list of successful bloggers who not only becomes popular worldwide but also earn handsome amout from it. Thus thanks a lot for this important sharing of tips. Blogs are very powerful and a cheap resource in marketing your product. They give an overview regarding your product so help to attract the targeted audiences. Blogs provides a good back link so help to promote product website and ultimately your product. I agree with your point Derek that blogs are multifunctional and they are very useful for marketing also. Blogs are like online diary and they are short than any site, book. We can easily use them as a review report of our website or book and can include all the unique features, summary about our site. 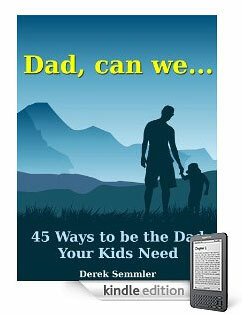 We can also use it as a book by combining all blogs. These are some good tips when the blog has a specific purpose of getting a book deal. It truly depends on the niche and on what will fit your personality. It’s hard for me to just think of one niche though, since I have understanding about things in a myriad of topics. I tend to write about a big variety. When I want to nichify a topic I simply install a subdirectory blog so that it’s more directed. The more unique your writings are the more chances of getting those readers to buy your products. A book deal only means you got a lot of readers following your blog. With your awesome posts Derek, there is no wonder you got one already. I don’t think I am at the point to look for a book deal but this is great advise to those who are ready for that step. While starting up a site, you need to find out what you are good at and what you are comfortable doing. This will enable your posts to flow freely and to also be interesting because you relate to whatever you are writing on. It’s true that you’re blog must not be the only promotion if you want it to be successful. You need to participate and interact with your followers and potential customers through social media sites like Facebook and Twitter. Not only that but you need to have good search engine page ranking in order to find your site by searchers. Choosing a niche you know something about, providing useful information that solves a problem, combined with a unique, easy to read writing style are all good ways to captivate a wide audience in your subject area. I have a project i need to get published but it is all poetry – Is this a popular blog topic? Previous post: Got WordPress Questions?